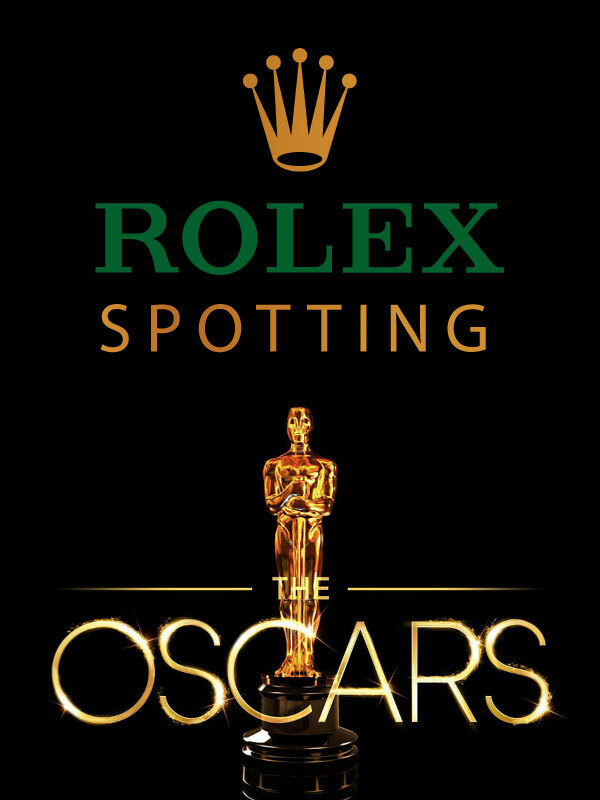 Rubber B is an extremely innovative company that introduced the very first rubber strap made just for Rolex watches that were designed to perfectly fill in the space between the lugs on Rolex sports watches. 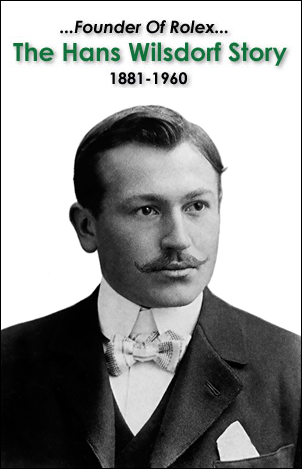 One could argue this innovation was long overdue, but Rubber B brilliantly brought it to life. 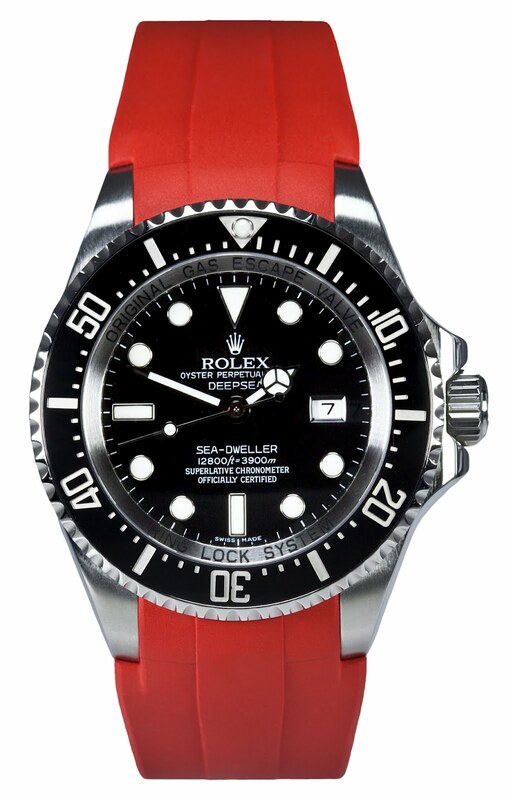 Recently Rubber B introduced an AMAZING new rubber step made just for the Rolex DEEPSEA SEA-DWELLER, which is pictured below in red. 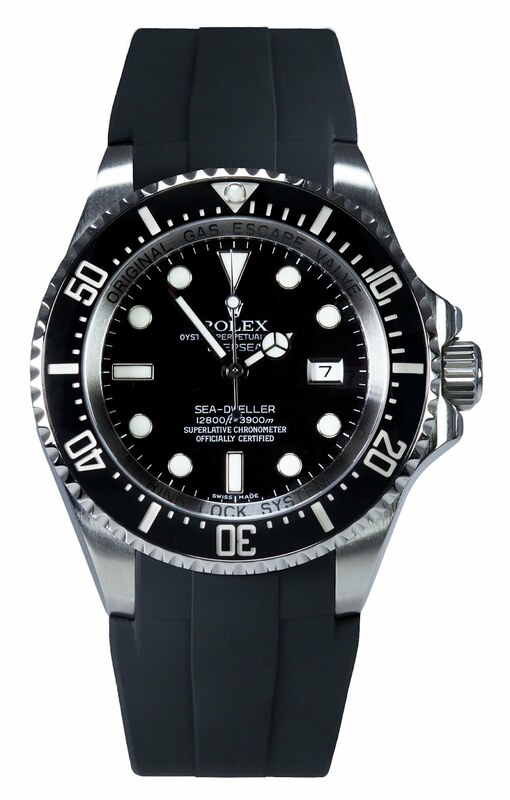 One of the great design innovations with the Rubber B made just for the DEEPSEA is that it is unusually wide compared to the standard Rolex Oyster bracelet. 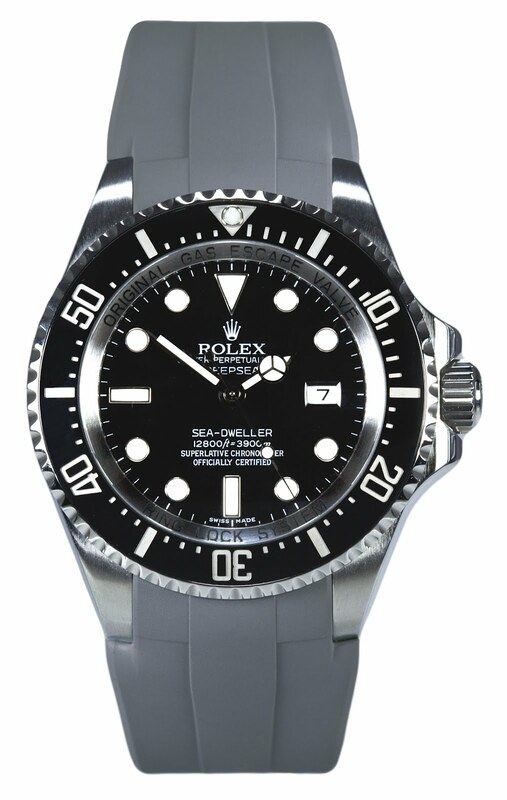 Even though the Rolex DEEPSEA seems like it is twice as large as the standard Rolex SEA-DWELLER, Rolex did not scale the Oyster Bracelet up, and some argue it looks a little strange to have such an enormous watch with a skinny, narrow bracelet. 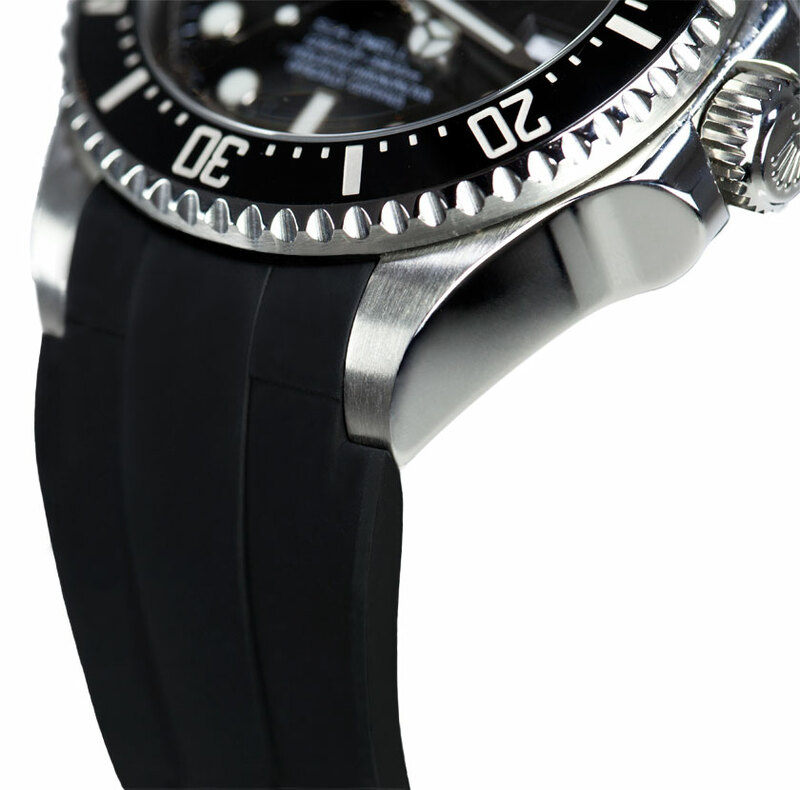 Rubber B listened carefully to customers who said they thought the standard DEEPSEA Oyster bracelet was too skinny, and Rubber B designed the all-new DEEPSEA strap with wings that run out to the edges of the lugs, and even though the strap is tapered it tapers down to 23mm, which is really fat. 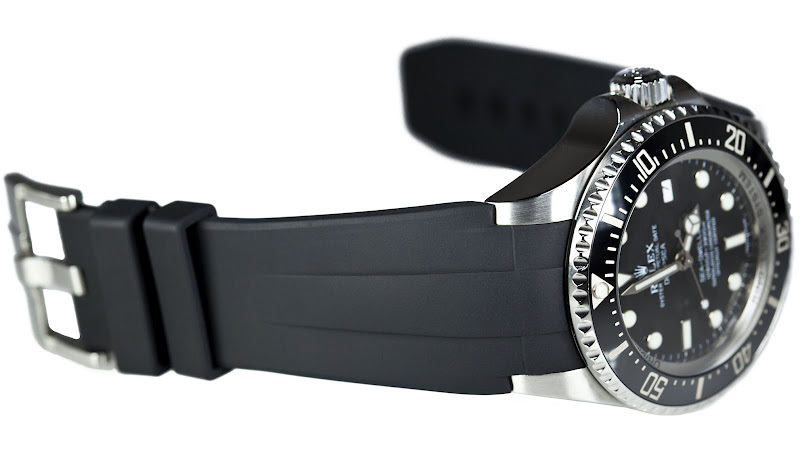 All this extra width gives the watch a much more macho, tool-watch look. Rubber B also decided to go with a beefed up buckle, to make it much easier and faster to swap out multiple Rubber B straps. As you can see in the images above and below, the Rubber B fits perfectly into the lug space, and there is a metal shank inside the end of the strap where it fits in-between the lugs, to keep it perfectly stationary. 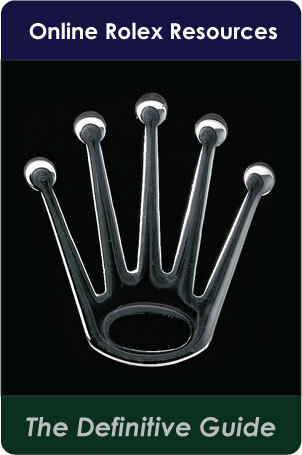 Essentailly the Rubber B for the Rolex DEEPSEA gives it a completely different look, which is awesome. 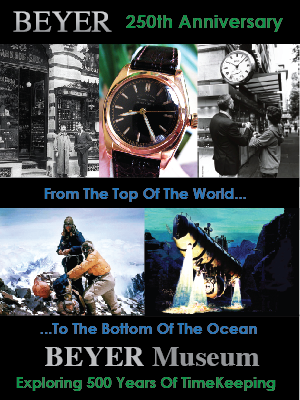 In my mind, it gives the DEEPSEA an even more aquatic, retro, surfer vibe. 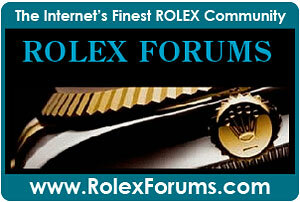 It is incredible how clean and simple the lines are on the all-new Rubber B for the Rolex DEEPSEA. 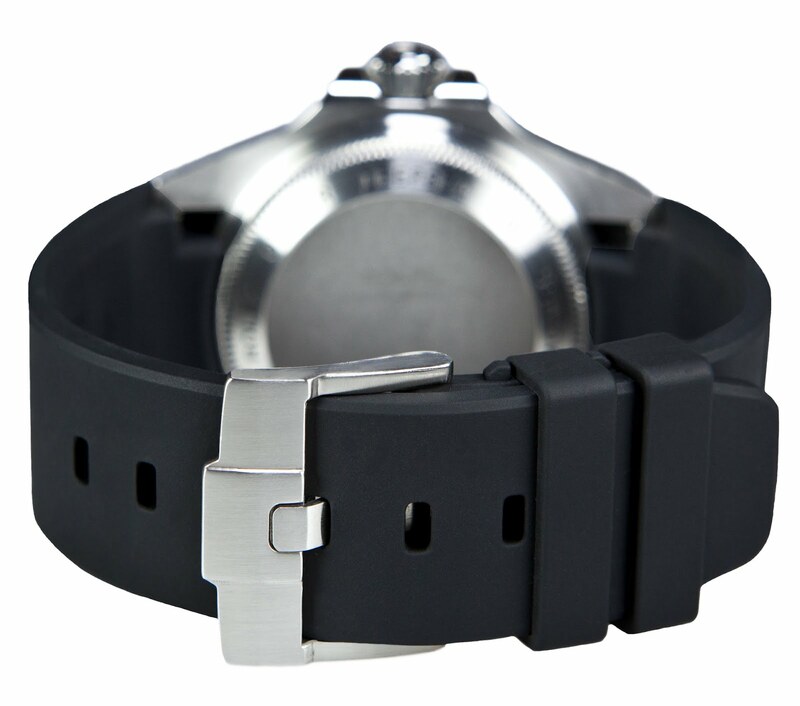 Since the Rubber B or the DEEPSEA uses a simple buckle, it is extremely sturdy and can't fail. 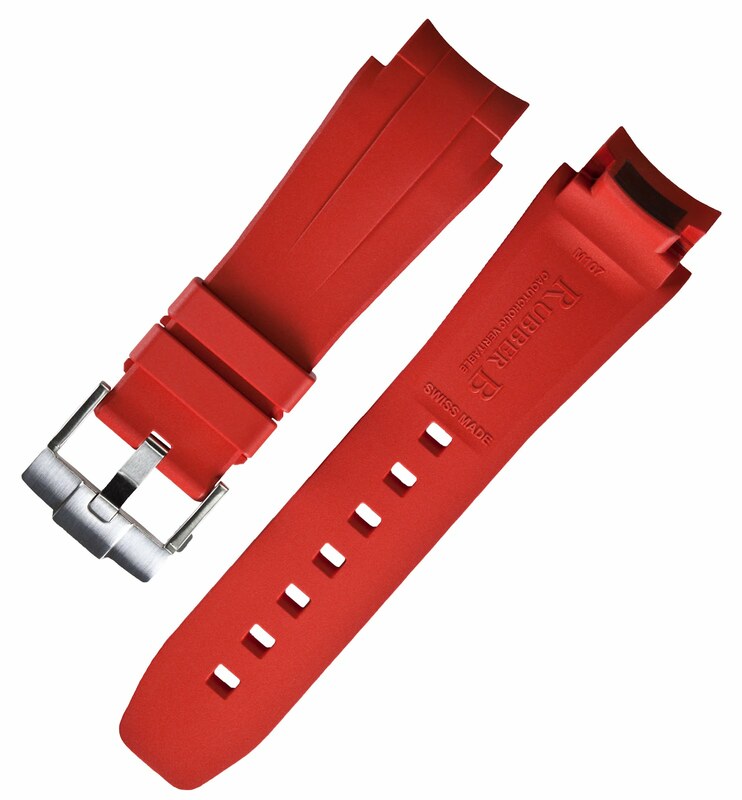 The strap is made in Switzerland from the finest vulcanized rubber. 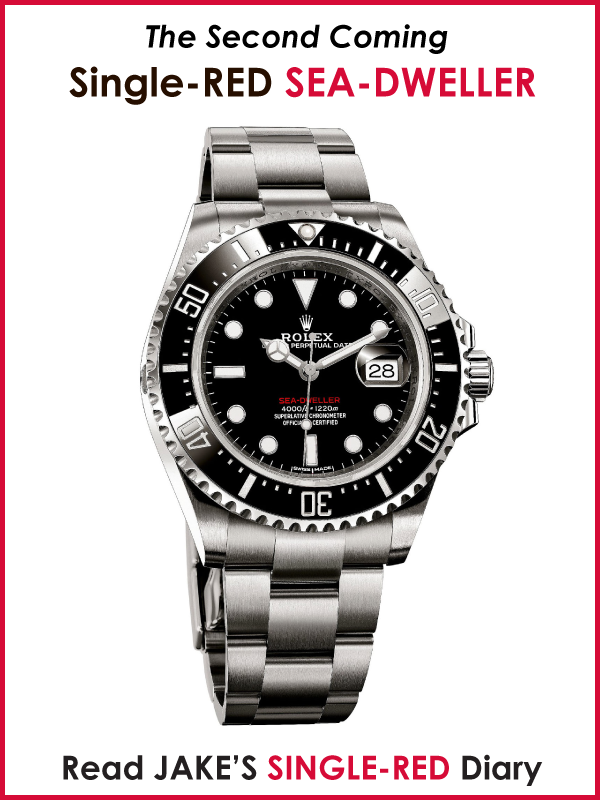 The Rubber B for the Rolex DEEPSEA is available in Red, Black and Shark Silver. I believe they plan to offer it is Safety Orange in the future. 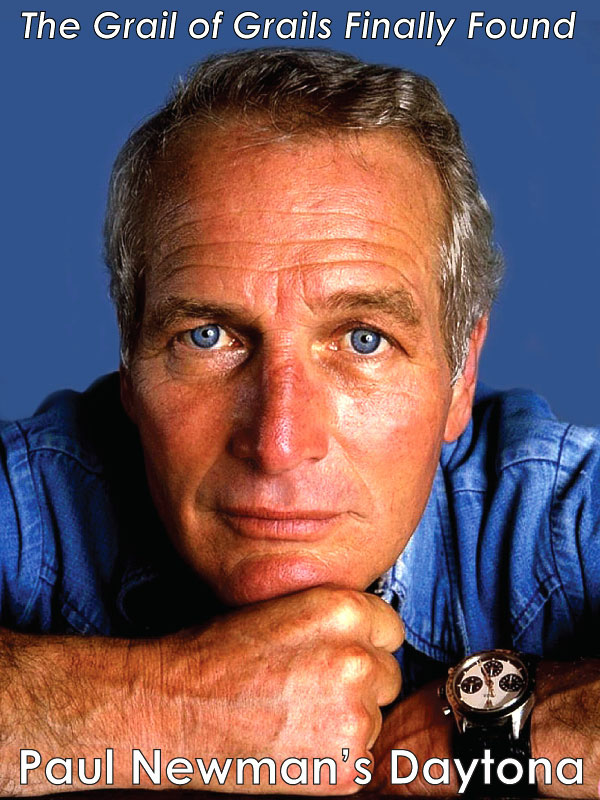 Rubber B also announced they are coming out with a Rubber B strap made just for the all-new "Orange Hand" Rolex Explorer II this Fall. As I understand it, they will offer it in Safety Orange, and Black. 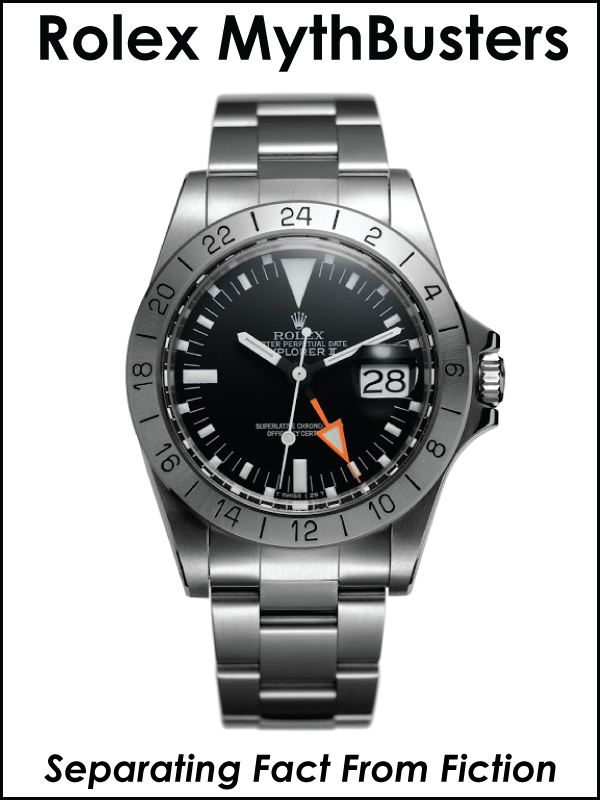 I really hope it has the simple buckle system, and I REALLY hope it shares the amazing design language from the DEEPSEA model. Specifically, I hope it has the wings, and the wide buckle. 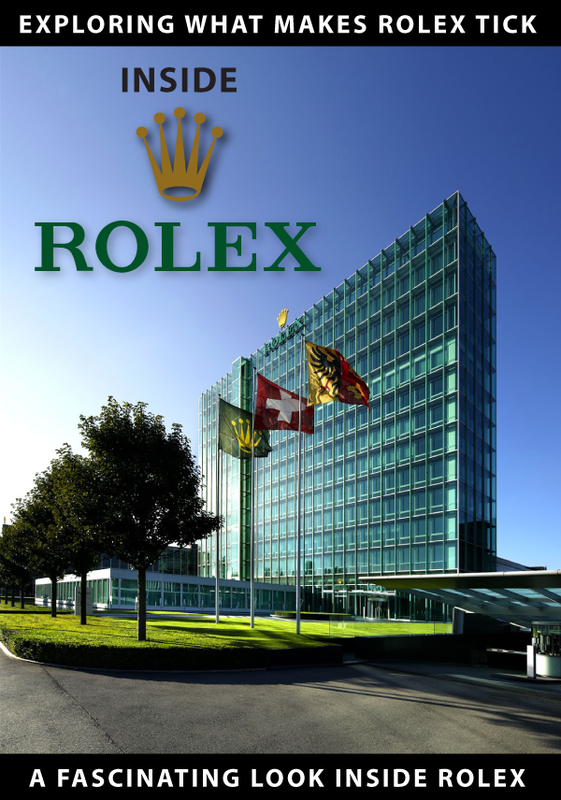 I think this winged design language gives Rolex watches and even sportier vibe, that would be very appealing to the Panerai crown, as well as tool-watch fans. 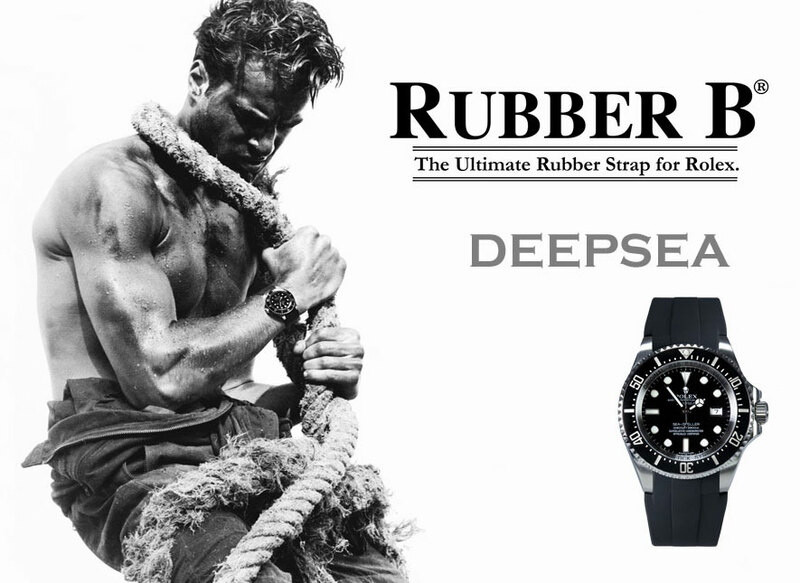 Rubber B is also coming out with an all-new strap for the Ceramic Supercase Submariner, and once again, I pray Rubber B has the wisdom to make it look exactly like their DEEPSEA version. 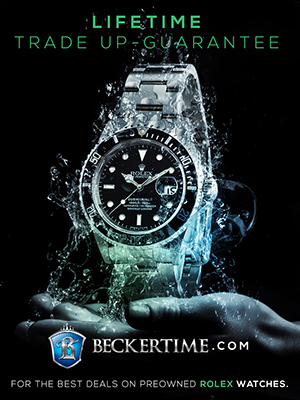 Here is a video that really showcases in a 3 Dimensional way, just how cool looking the Rubber B for the Rolex DEEPSEA is. This video is of an actual watch and Rubber B, not a computer simulation. It really demonstrates how beautifully precise the Rubber B is. 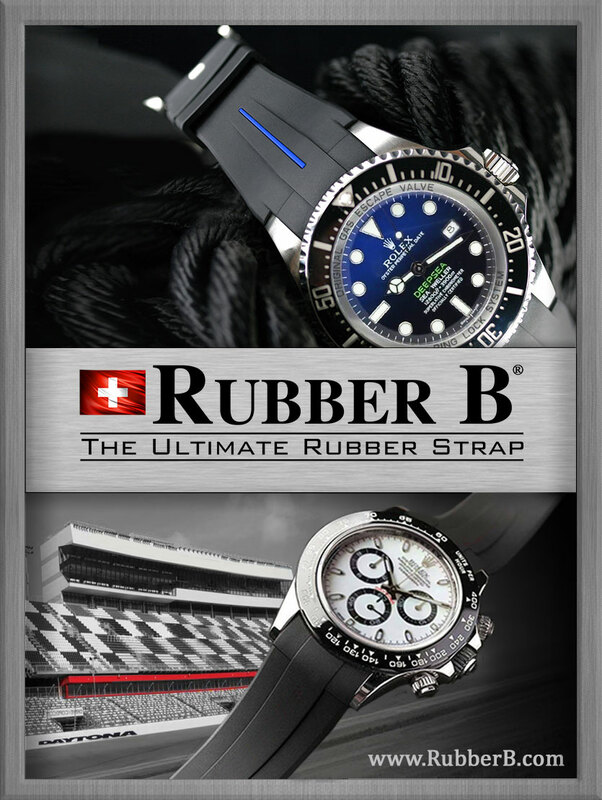 Rubber B is an amazing company, and I can't wait to see their new all-new models they plan to introduce this Fall!! !